Add the latest The HPE Virtual Connect Flex-10/10D Module load balancing device for c-Class BladeSystem. 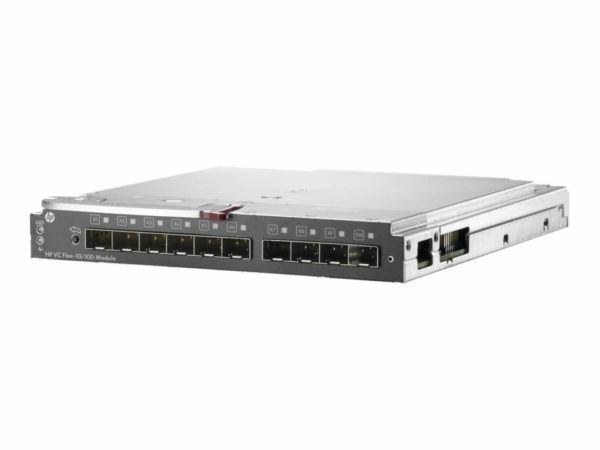 The HPE Virtual Connect Flex-10/10D Module load balancing device for c-Class BladeSystem simplifies networks by reducing cables without adding switches to manage. Built-in Virtual Connect wire-once connection management enables server adds, moves, and replacement in minutes instead of days. The HPE Virtual Connect does not require manual changes to network connections each time a server is added or moved.